Booking Boy George will cause a storm at your special event! We are a booking agent for Boy George, and can arrange for him to perform for your guests. Boy George (born George Alan O’Dowd) is an outstanding singer-songwriter, DJ, producer and designer from Britain. He started his way to fame as a lead singer of “Culture Club”, a Grammy Award-winning new wave rock band that was at the peak of its popularity between 1981 and 1986. Having released four albums during those years, the band was rocking the US and Europe with their most popular chart singles “Do You Really Want to Hurt Me?”, “Time”, “Karma Chameleon”, “The War Song”, “Do They Know It’s Christmas”, and “Move Away”, and many others. However, due to some drug related issues of its members, the “Culture Club” disbanded in 1986. This prompted Boy George to become a solo singer. 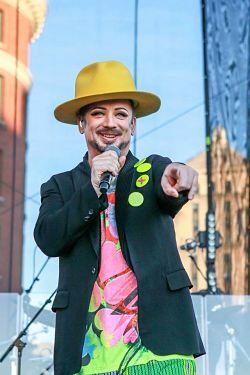 A truly talented singer, Boy George did not choose simple ways and started doing several things at once. His debut solo album, “Sold”, was released in 1987. In 1989, Boy George founded a recording label called More Protein, started writing songs under a pseudonym Angela Dust and performed under Jesus Loves You. Apart from these, the 2000s witnessed Boy George experimenting with house and electronic music, and turning a DJ. Although “Culture Club” reunited and even released two more albums, Boy George was not with them. Relishing his solo career, he has successfully released eight albums and two autobiographies. 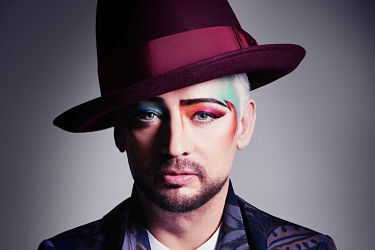 Now, being involved in various creative fields simultaneously, Boy George is constantly introducing something new. 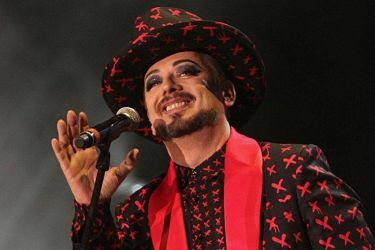 To have this extravagant singer performing at your party, contact us today to book Boy George – a fabulous addition to your event entertainment. Contraband is the UK’s top booking agent, with affable, knowledgeable account managers who guarantee you the best deal possible. Contact us today if you would like to book Boy George to be the headline of your event! We as your booking agent are more than happy to help you create the most memorable moments with Boy George.